The Galaxy S Plus makes sense for people who don't want to spend over the odds on the latest tech. Samsung is probably right not to make a big noise about it. The phone was first announced as a Russia-bound upgrade of the original Galaxy S. It will be released in other markets too, it is now certain. And we know it does just enough to stay afloat in the competition. Of course, we don't mean the dual-core heavy-hitters or the 3D and Full HD enabled media monsters. The Galaxy S Plus is still stuck on the old 5MP camera, 720p video recording and the old PenTile SuperAMOLED screen. But it does well to bring a speed boost to an already solid performer. 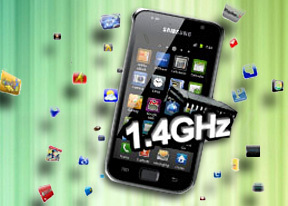 And even though it is no match for dual-core, an overclocked single core chipset is powerful enough for almost everyone. Users coming from the original Galaxy S aren't too likely to consider the Galaxy S Plus. 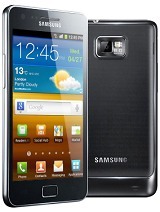 It's more of an affordable alternative of the current flagship, the Galaxy S II. The Galaxy SL is another copy of the original Galaxy S only without the SuperAMOLED display. We guess it will make no sense for the SL and the Plus to compete on the same markets. If they do, the SL will be seriously disadvantaged by the lack of a SuperAMOLED screen. That can be fine too, if the price difference is right. The Galaxy S Plus will feel the heat from the recent crop of Sony Ericsson droids. The Xperia Arc boasts a bigger Bravia engine display, a superior 8 MP camera and the impressive exterior of a true flagship. Still, it does fall a little short of the 1.4GHz processor inside the Galaxy S Plus. And if you think the Arc is in a different league, the Xperia Neo may as well be considered for its imaging. The LG Optimus black commensurates with the Galaxy S Plus in terms of specs - it has a 4" NOVA display, which means it's much more bright, a 5 MP snapper on its back which produces crisper photos and offers the latest Wi-Fi Direct technology for faster sharing. It does fall short in 3G speed, processing power and offers only the outdated Android 2.2 Froyo. Finally, an old rivalry is likely to be renewed. The Galaxy S vs. the Desire used to be a crowd-pleaser a year ago and now it's up to the Galaxy S Plus and the Desire S to keep it going. The Desire S offers the HTC Sense experience and great build. And let's not forget the HTC Incredible S which closes the gap on the display front as far as size goes. It also brings a higher resolution camera to the table. The Galaxy S Plus has the upper hand in terms of screen quality and processing power, though. Screen and processing power: these are the key ingredients of the Samsung I9001 Galaxy S Plus. OK, the display is of the old PenTile variety but it's still Super AMOLED. And 1.4GHz is impressive clock speed, only beat by dual core. The main point for many readers here today is if this slightly tuned-up version of the Galaxy S is worthit better than the original one which is still on sale. Well, you get a plus and a minus - the better processor and the slower GPU. Sure, HSDPA speeds have doubled to 14.4 Mbps but that hardly is enough to justify the higher asking price. And the speed boost isn't that obvious even when you pit the two devices one against the other. They call it the Galaxy S 2011 edition. It's no more than a slight upgrade. The Galaxy S Plus won't let you down if you take it for what it says on the tin but the same goes for the original Galaxy S.